This month marks a decade since the UN Security Council Resolution 1612 was passed unanimously, establishing a monitoring and reporting mechanism (MRM) to gather accurate, timely and objective information on six grave violations committed against children in armed conflict. In recent years, however, there have been signs that political interests of powerful states are increasingly threatening the integrity of this mechanism. Parties to conflict, which should be monitored, named and held accountable for committing egregious violations against children, are being let off the hook. Conversely, scrutiny on contexts that should be monitored is being prematurely lifted. At a time when a growing number of complex conflicts around the world are posing new challenges to child protection, this ten-year anniversary marks an important opportunity to look back at some achievements and identify impediments. The MRM is formally triggered in a conflict situation when one or several parties to that conflict are added to the “list of shame” in annexes to the UN Secretary-General’s annual report on children and armed conflict. In the past, only parties that recruited and used children were included in the annexes. Since 2009, other grave violations can “trigger” listing: killing and maiming, sexual violence, attacks on school and hospitals, and abduction of children. Once established, the MRM has the mandate to monitor and report on all six grave violations, and on all parties to the conflict. Members of the UN Country Task Force for Monitoring and Reporting (CTFMR) and their technical working groups also coordinate advocacy and programmatic responses to the violations that they document. This is often done through the signature of Joint Action Plans between the UN and the party listed. These Action Plans are time bound and commit a “listed” party to a series of legal, policy and practical measures. 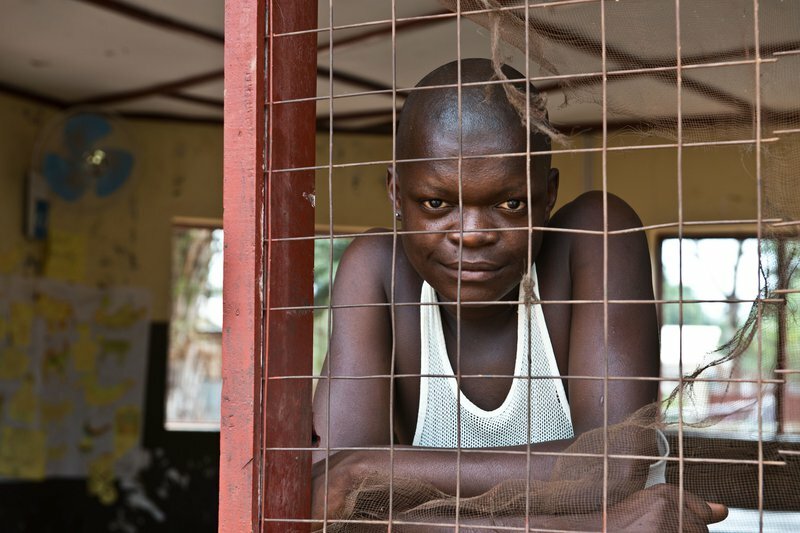 A former child soldier in South Sudan. Impressment into military action and violence is a grave violation against children's human rights. The mechanism stops after violations have ended and the Action Plan (if any) has been fully implemented. But monitoring is meant to continue for at least one year after the delisting of all parties, to ensure there are no renewed violations. Undoubtedly, the MRM has proved to be far more than a tool to “name and shame” parties that violate children’s rights. It plays an important role in pushing for accountability of parties to a conflict and ensuring their compliance with international law and child protection standards. So far, the 20 Action Plans signed with parties in 13 different country situations have resulted in the release of thousands of children from armed forces and groups. Because countries affected by armed conflict face serious challenges in rule of law and justice, Action Plans have also triggered longer-term institutional reform in some contexts. These changes have been most notable in ensuring that laws criminalising violations against children, including on underage recruitment and use, are implemented. In some cases, practical barriers have been created, such as Child Protection Units in western Afghanistan that have rejected 418 underage applicants from joining the Afghan National Police and the Afghan Local Police since 2014. The decision to “list “ or “delist” a party to the conflict is taken by the UN Secretary-General on the basis of recommendations by his Special Representative on children and armed conflict (SRSG), whose office coordinates all MRM information. Listing puts the country under scrutiny by the UN Security Council and opens up the possibility of punitive measures. Pressure exerted by states to influence the scope of the MRM is not only leaving certain situations ignored, it is also politicising the mechanism. Unsurprisingly, governments are particularly wary about being listed in the annexes, or even being mentioned in the body of the Secretary-General’s annual reports. A small, but vocal, number of states consistently oppose listing, questioning the UN findings, arguing that the situation is not one of armed conflict, or that it is not formally on the agenda of the UN Security Council. Such pressure exerted by states to influence the scope of the MRM is not only leaving certain situations ignored, it is also politicising the mechanism. This problem was recently illustrated by the decision of UN Secretary-General Ban Ki-moon not to include the Israeli Defence Forces (IDF) and Palestinian armed groups on his list after Israel and its allies exercised political pressure on his office. The decision was reportedly taken against the recommendation of the SRSG and despite UN-documented evidence of attacks on schools and hospitals, killing and maiming of children, and use of a child as a human shield by the IDF during Operation Protective Edge on Gaza in the summer of 2014. UN and NGO reports stating that Palestinian armed groups killed and maimed children, recruited and used children and used schools for military purposes were similarly disregarded. Arguably, criteria to determine which parties are recommended and included in the “list of shame” are not being applied consistently. In other cases, governments have consistently blocked UN access to their country, or to certain areas of their country, to verify allegations of children’s rights violations. The government of Thailand, for example, has been criticised by the UN Secretary-General for not allowing unimpeded access to UN agencies wanting to verify allegations of grave children's rights violations in the southern provinces. Yet, despite this consistent lack of cooperation, there is little that the UN has done to build pressure on the government of Thailand to comply. The case of Chad also raises questions on whether delisting is a transparent process that verifies the implementation of all Action Plan commitments signed with the UN. After being delisted in 2014, the Chadian national army should have been monitored for at least another year. To remain off the list, parties must demonstrate their continued ability to comply with their Action Plan commitments and refrain from committing violations for which they were listed. Child Soldiers International recently expressed concerns about a number of recent examples of Chad’s non-compliance. However, in his 2015 report the UN Secretary-General determined that “the situation of Chad will be removed from the report as of 2016”, without any public assessment. The perception of partiality can undermine the credibility of the mechanism. This comes with potentially significant political costs, as recently demonstrated by the number of governments criticising the failure to list Palestinian armed groups and particularly the IDF in the UNSG’s 2015 report. Crucially, it can deprive children affected by armed conflict of vital interventions. However, the fact that some governments spend so much political capital to avoid landing on the list is a good indication of the potential of the MRM system to protect children in armed conflict. But the UN and other actors must resist political interferences by ensuring that those who are responsible for grave violations of children’s rights are brought to task. At its tenth anniversary, strengthening the MRM should be the top priority of the UN. Children’s lives depend on it.